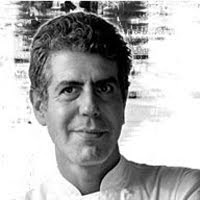 Celebrity chef, best-selling author, and untamed television personality, Anthony Bourdain is widely known for his Travel Channel series, No Reservations, on which he scours the globe, consuming daring ethnic cuisines and exploring exotic cultures. 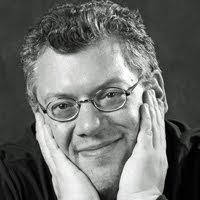 Recently, he sat down with Steven Shaw, Director of New Media Studies and founder of eGullet.org, to discuss Food Blogging, a new Food Journalism course offering at The International Culinary Center. Check out the video on the Travel Channel. 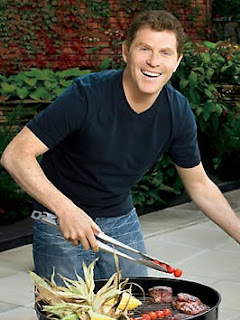 Tune in on Sunday, August 16, at 10:30am to watch Bobby Flay Grill It! with his guest, fellow FCI alum Jamie Watson. Jamie will be making his version of the classic pork shoulder sandwich, with cole slaw and cornbread flatbread, paired with his own cocktail creation, the Julito. Also on the menu is Bobby's Korean-inspired pork dish served in lettuce cups, and a Blackberry Bourbon Julep to wash it down. Bobby Flay is a critically-acclaimed chef/restaurateur, award-winning cookbook author, and television personality with two shows bearing his namesake. He is Resident Chef on the CBS News Early Show and one of four main Iron Chefs on Iron Chef America. He even has eponymous lines of sauces, rubs, kitchenware, textiles, and grilling accessories. 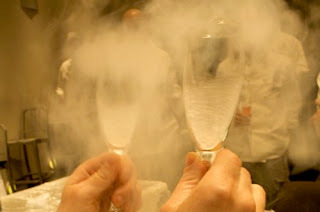 And he did it all after graduating from The FCI's very first class of 1984. Don't miss Grill It! with Bobby Flay on the Food Network, Sunday, August 16 at 10:30am! FCI alum Joe Bayley took home the $10,000 prize on last week's episode of Chopped. After successfully cooking through two mystery boxes, Joe pulled out all the stops on his final challenge: make dessert out of an avocado, some coffee liqueur, and a honeycomb. His avocado and ginkgo mousse with coffee ganache and lime-infused honey seriously impressed the judges and sent his competitors home empty-handed. Serious Eats caught up with Chef Bayley to talk about the show and what he plans to do next. Read the article.